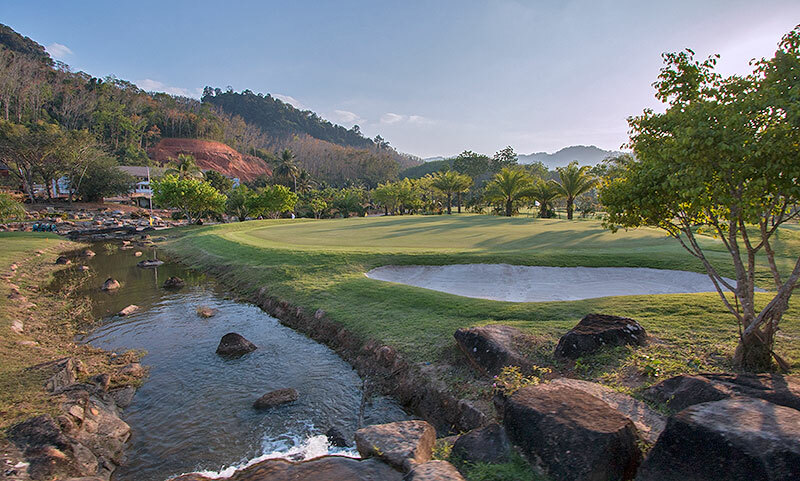 A new & unique 18-hole championship golf course located only 30 minutes from Khao Lak, Phang Nga. 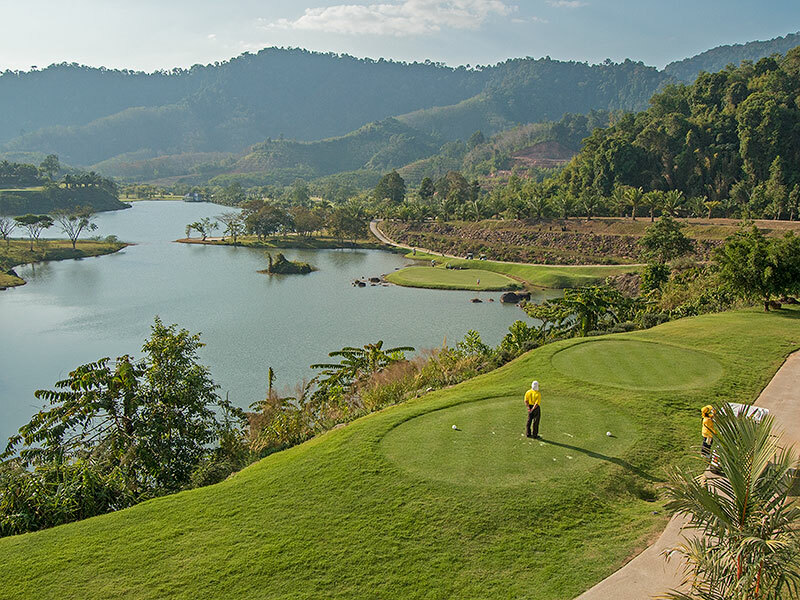 Katathong Golf Resort & Spa is one of the most challenging and escape to a tin mine era legend. 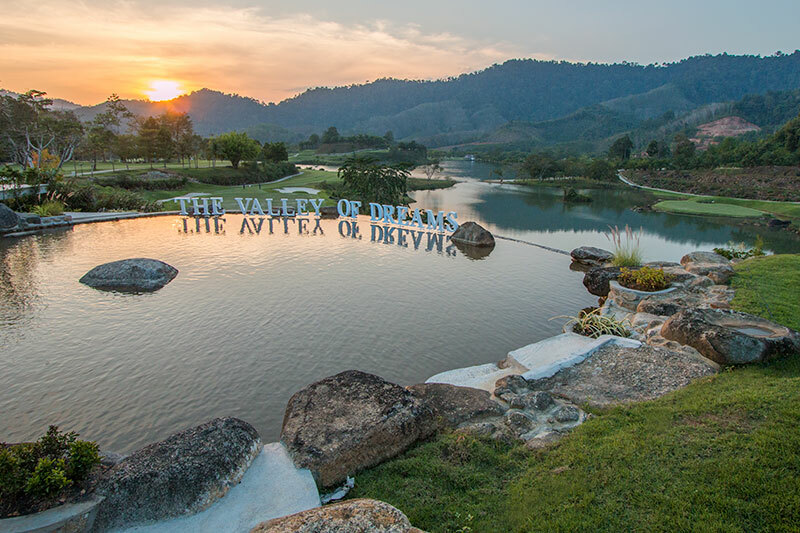 The course layout is situated amidst idyllic views of lush palm trees, large lake, verdant mountains and stunning landscape in Phang Nga. It’s an extreme golf experience that you will be impressed while playing and offers challenging play for beginners and advanced golfers. 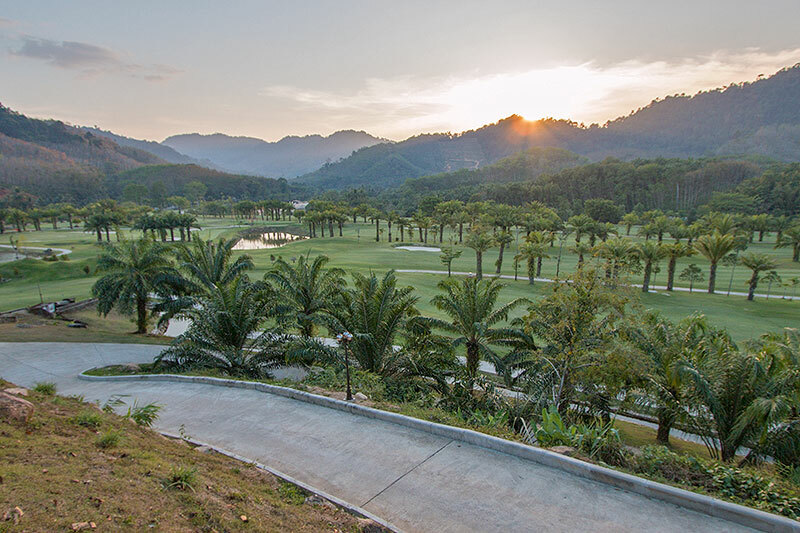 Katathong Golf Resort & Spa designed to harmonize with the natural landscape, offers lush green mountain views from every angle with courses that follow the natural contours of the land featuring undulating hills, sand traps and a beautiful natural reservoir. But the course is not as tranquil as you might expect, with an abundance of natural waterfalls and streams, the air is filled with the sounds of cascading water. 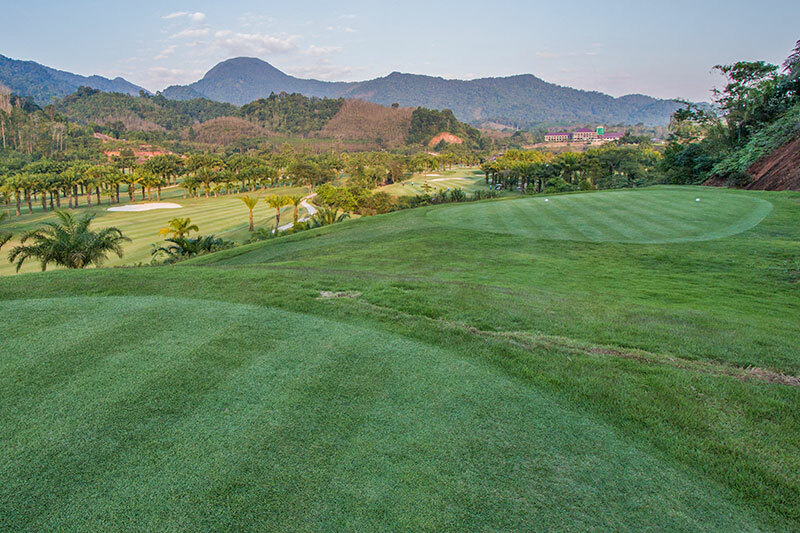 Exceptional views of the golf course, complete facilities, complete with driving range and golf academy, warm hospitality and professional services will make your golfing at Katathong Golf Resort & Spa a joyful and unforgettable experience. Experience the signature holes 10 which is surrounded by water and you have to drive the ball over the enormous lake from an elevated tee down onto the wide green, hole 17 that you will drive the ball over invisible green and hole 18, a tough finishing hole that golfers must hit tee off over 200 yards to crossover the water and be in a good position to be on the green. The extreme challenge to be skilled! Special Deals: If your group consists of more than 4 golfers, we can offer you the better rates than the rates listed above. Please send us the booking request and we will offer you the special rates according to the number of your party. Rates are displayed in Thai Baht Currency. Net rates are inclusive of 7% VAT. Rates above are displayed as price per person. Use of golf cart on Katathong Golf Resort & Spa is compulsory. Maximum 1 golfer per cart is permitted. The golf cart rental is 700 Baht/cart/person. 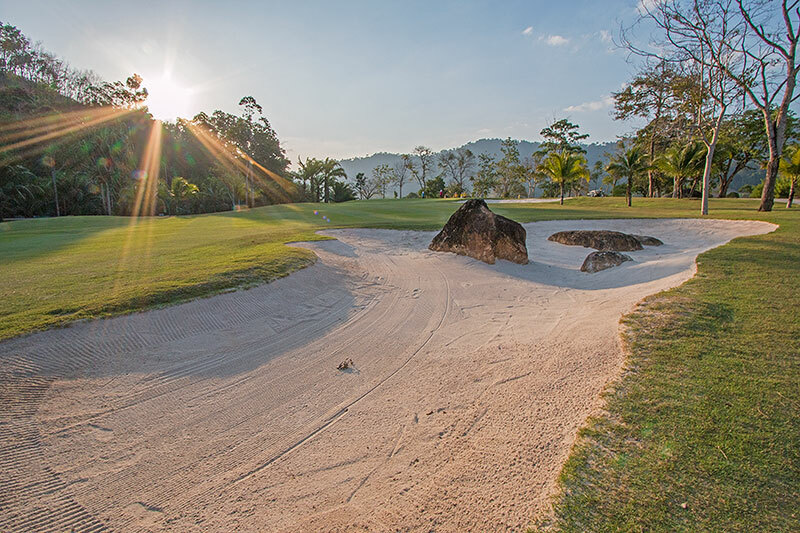 'Green Fee Only' rate is NOT include compulsory caddy fee of 350 Baht/person. Rates above are NOT inclusive of caddy tip. 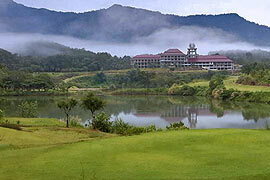 Katathong Golf Resort & Spa has recommended to tip their caddy from 300 Baht. You can give it directly to your caddy after the game. Follower fee of 700 Baht/person must be paid to the proshop, if you have non-golfers accompany into the course please inform us in the booking form.